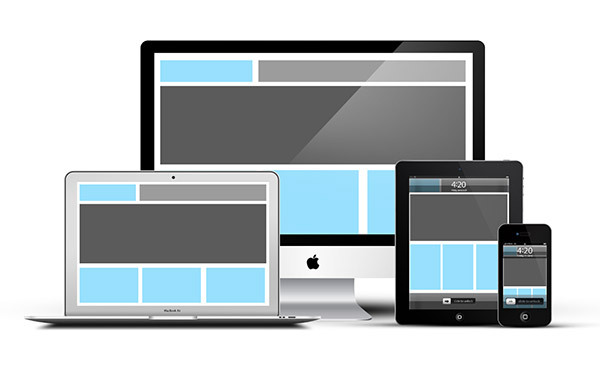 Having beautiful themes or a killer portfolio is not enough for your website to be successful. It is vital that its search engine optimized. Search engines such as Google and Yahoo do not give relevance to your website design; they care about your site’s keywords, file names, and alt tags just to name a few. If you’re a newbie to search engine optimization or SEO, it is of utmost importance for you to learn and understand the tricks you need to optimize your website to get better rankings in search engines. 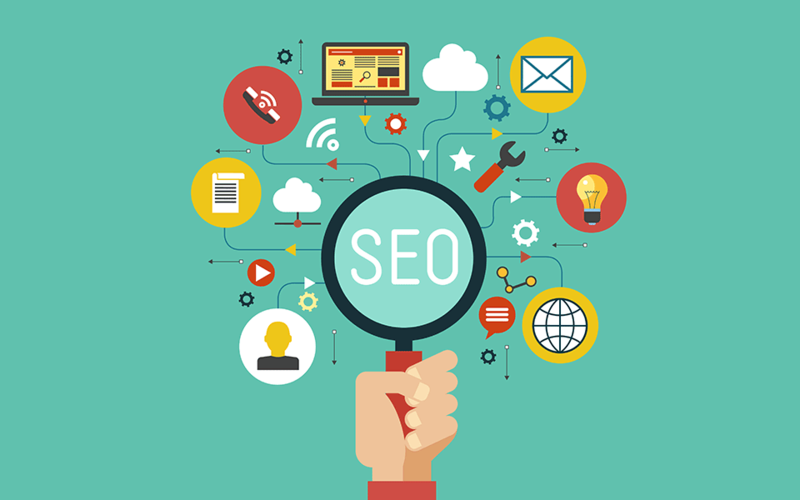 SEO will provide your website an improvement in the volume and quality of generated traffic. It has been proven that if your site appears higher in the search results, users are more likely to visit it. Below is a list of easy ways for your WordPress website to get remarkable results and improve search engine ranking. Page speed is on the ranking factor in search engines like Google that designers tend to overlook. A site that loads fast is an SEO element, and it provides the audience a better user experience. Search engines want to provide searchers with the most accurate results of websites that offer the best user experience, quality, and relevant content and with quick loading times. A fast loading website will have a better rank in search results, generate more traffic and have more conversions. To speed up your WordPress website, you have to remove additional plugins and optimize image sizes. 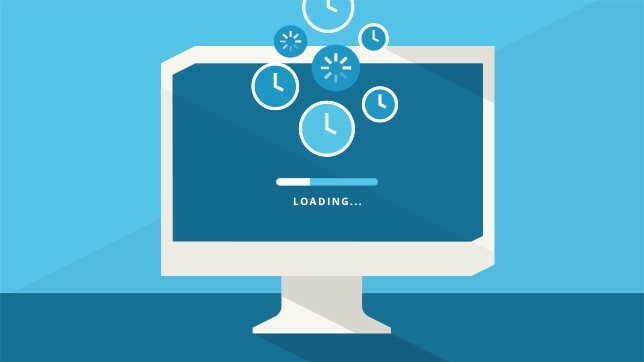 You can also test the loading time of your page from various locations, internet speed and browsers using web page test services available online, which will give you an analysis report and it will also tell you which part of your page is taking too long to load. Another way to analyze and get performance recommendations for your website is from Google’s page speed service. One of the most important activities in SEO is keyword research where both the search engine and users are dependent upon, that’s why choosing the right keywords for your brand and website should be a priority. A focus keyword is a main keyword that you want people to search for and your page to rank for. If the niche you chose for your WordPress website is competitive, then you need to aim for a long tail keyword to generate more organic traffic. WordPress has an SEO tool which allows you to choose a focus keyword for each of your posts which also helps you look for the same keywords while you’re typing it and once you’ve made your choice, it’ll show you the number of times you have used the keyword in various areas of your post. 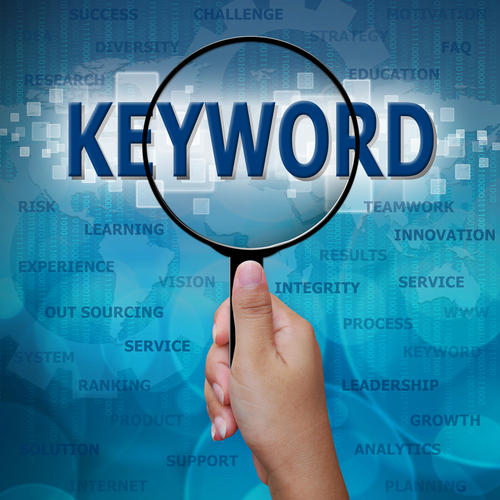 If your content is strategically and correctly crafted with keywords, it’ll increase its chances of getting searched. High quality and unique content is the best and most effective optimization. Visitors like to come back for fresh contents as well. These days, there are a lot of bloggers getting articles for other websites and posting it on their own just to generate some traffic without giving proper credits to the rightful author. Duplicating content on your website violates search engines’ guidelines, and it affects you and your site’s credibility and its search engine ranking. If you want to generate much traffic from search engines, make sure that you only put up unique content on your website and incorporate it with keywords that will highlight what the post is all about. It should also be understandable and readable using keywords smartly. Backlinks are considered to be one of the most important elements which can affect the ranking of a website in search engines. Giving a lot of time to increase your website backlinks is necessary to achieve higher search engine rankings and traffic. Quickly increase your site’s backlinks by exchanging with other accessible, credible and relevant sites relating to your content. You can submit articles, do guest posting, blog commenting, social media promotion and a link to pages within your website. Images a lot of times are required to enhance the user-experience while keeping in mind problems you may encounter like page loading time or slow response. Search engines also give images importance in the calculation of the ranking, therefore making it an important factor of On Page SEO. Relevant text and images within your post are displayed on the search results page of a search engine, which is linked to the corresponding page. So if you want to generate traffic from the likes of Google Images, it is essential to optimize your images using keywords of a specified subject in your file name, title tag and ALT tag. Instead of using the img1234.jpg file name for let’s say a picture of Lebron James was winning an MVP award, you can use Lebron-James-MVP-Award.jpg. It is also a good idea to give your images description and caption. Titles are more vital than ever for search engines, especially for Google SEO. 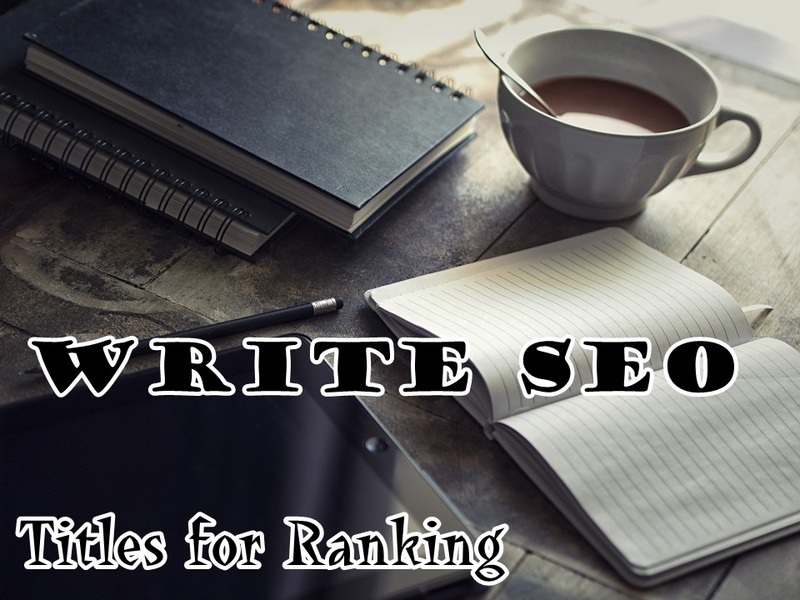 An excellent SEO friendly post and page title should be readable and contains your focus keyword which is 70 characters limit for page title and 150 – 160 characters limit for post meta description. Aside from this, your page and post titles need to be catchy, unique, brief and accurately describes the content of your page to help the user understand what your page is all about. Your meta description tag provides users and search engines a brief description about your page. Search engines usually choose to show the description you gave your page or use a part of your page’s content, that’s why it is important that the meta tag should not be repetitive, without a lot of keywords and gives a unique description for all pages, posts, and products of your website. 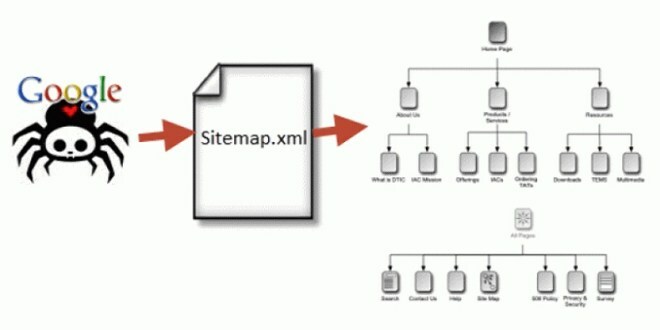 A sitemap is a map or of all the posts or pages of your entire WordPress website, listed in hierarchical order. A good sitemap shows search engines the structure of your website, providing them a way to have a look at all ins and outs of it to index everything. Depending on your website’s platform, you can use plugins available in WordPress like Google XML Sitemaps to create and update your website’s sitemap. Through this, you are helping search engines to better index your blog. Aside from this, the plugin will also notify search engines once you publish new content, giving it a boost in rankings faster. Internal links are links to a page where you point new users to other pages within your website. It’s a great way to create context between new and past posts. WordPress has a feature wherein it allows you to search for your past posts within the post editor by pressing the link button on it and click on or link to existing content. This then will open a search box where you can look for older posts that you want to link to, just select which post you want, click the add link button and you’re all set. Doing some basic text formatting first before publishing your content is one way to enhance user-experience and is an advantage in SEO. 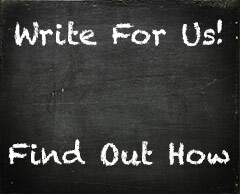 Keywords and relative information of your content should be highlighted. 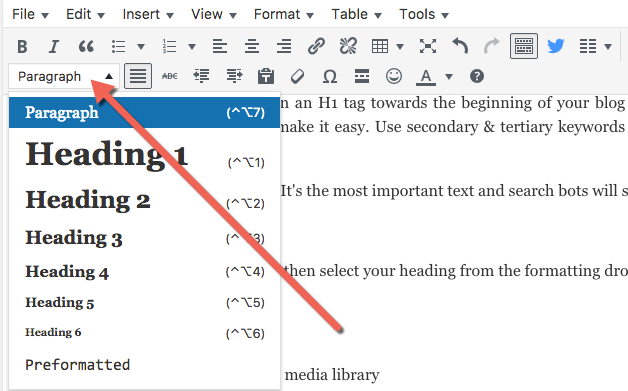 Use H1 tags for post titles, H2 tags for the main headings of your post, bold and italics to get users’ attention, writing small in paragraphs and using a readable font size. You can also use active tags but avoid overdoing it. Permanent link or permalink structure is the format of your pages’ URLS where it is shown in the address bar of the browser and the search engine results. Search engines only give importance to the first four words in a permalink so make sure it is understandable and straightforward. Also, avoid long URLs with redundant information, use only words that best describes the content of the page and use hyphens to separate the words in the URL. 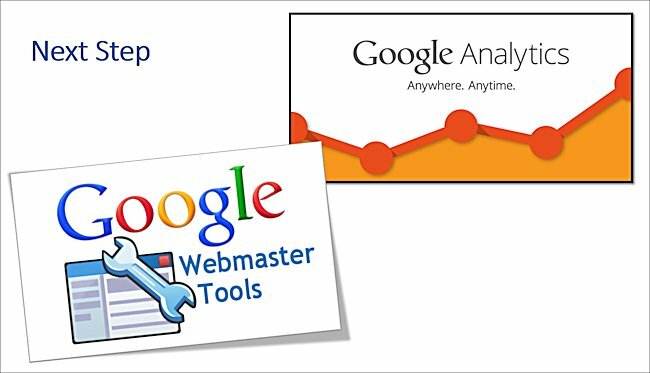 It is vital to use Google Webmaster Tools and Google Analytics to help improve your website as well as its performance in the search engines. Google webmaster will aid you in removing bad links, fixing 404 errors on your site, submitting sitemaps, creating site links and check which sites are linked to yours and which keywords you is ranking for. Google Analytics, on the other hand, will provide you with metrics on how your site is generating traffics, which keywords were being used by visitors in search engines to get to your site and other pages. A substantial number of searches performed each day are made via mobile devices. In 2015, Google made a change to its search engine algorithms which now give importance in a website’s mobile-friendly capability as a ranking signal. A huge part of SEO’s future is mobile configuration, that’s why it is important that your WordPress website should adopt a responsive web design. To make your website mobile-friendly, it should be readable without the need to zoom, has sufficient spacing and no horizontal scrolling. Every post that will go live on your WordPress website has the possibility to increase generated traffic from search engines. By doing these 12 easy tips and tricks provided by 85Ideas, you’ll soon start noticing the difference in your search traffic.